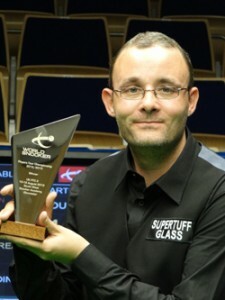 Martin Gould won a tournament carrying ranking points for the first time by beating Stephen Maguire 4-3 in the final of UK Players Tour Championship event two at the South West Snooker Academy in Gloucester. Londoner Gould climbed into the top 16 last season and also won the Power Snooker event, and can now add a PTC title to his snooker CV. Victory is worth £10,000 plus 2,000 ranking points to the 30-year-old former casino croupier. Scotland’s Maguire won UKPTC1 last month and looked on course for a repeat victory when he took the first frame of the final with a break of 64. Gould hit back to win three of next four frames, compiling runs of 65 and 52 and nicking the fifth on a respotted black. 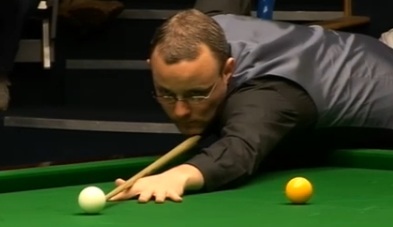 Maguire won the next for 3-3 and when he fluked a red when escaping from a snooker in the decider he had the chance of a match-winning break, but could only make 41. The frame came down to the colours and Gould potted an excellent long green and added the brown and blue to win the title. “It feels amazing to win a tournament with ranking points for the first time,” said world No 16 Gould. “My aim now is to win some big titles. “Last week I started working with a coach called Stephen Feeney who has done a lot for the likes of Mark Davis and Stuart Bingham. He noticed a fault in the way I was sighting the ball and fixed it straight away. The improvement has been beyond my expectation and every time I was among the balls this week I felt as if I was going to clear up. The Players Tour Championship is a series of ten events, four in the UK and six in Europe, with the top 24 on the final Order of Merit going through to the Grand Finals in March. They will be joined by eight players from the Asian PTC Order of Merit. The next event is Betfair European Tour 1 (the Paul Hunter Classic) from August 23-26 in Fuerth, Germany. Not maiden professional title as he won the Power Snooker last season.